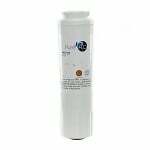 The PureH2O PH21200 Replacement for Whirlpool NLC240V Replacement Refrigerator Filter is designed for use with side-by-side refrigerators. 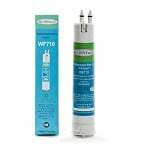 The AquaFresh WF710 Water Filter is the compatible replacement refrigerator ice and water filter for the Whirlpool T1WB2 Filter. The PureH2O PH21200 Replacement for Whirlpool PWF-NL240V fits side by side refrigerators with filter access through the front grille. The Whirlpool EDR5RXD1 replacement filter gives you a reason to enjoy a tall refreshing glass of ice water. 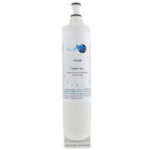 The PureH2O PH21200 Replacement for Maytag 8212652 PuriClean IV Replacement Filter is a refrigerator water filter for side-by-side refrigerator models with easy access through the front base grille. 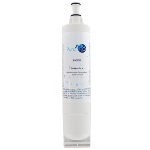 With the PureH2O PH21500 Replacement for Maytag WF50 compatible refrigerator water filter you get NSF42 Certified chlorine taste and odor reduction while saving a lot of money in the process. 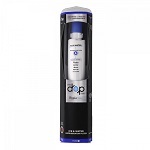 The Whirlpool EDR6D1 replacement refrigerator filter helps protect your health by reducing common waterborne contaminants such as lead and mercury, pesticides and industrial chemicals. 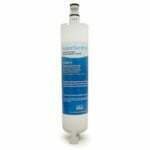 The PureH2O PH21200 is the correct replacement for the HDX FMW-2 refrigerator water filter. 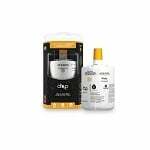 The Whirlpool 8171413 Water Filter fits all Interior side-by-side refrigerators with filter access inside the refrigerator. 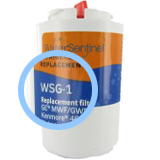 Filter number 8171413 replaces part numbers 8171413, 2204326, 2204324, 9002, 8171787 and Kenmore 46-9002, 469002. PureH2O PH21200 Replacement for Whirlpool 4396919 refrigerator filter reduces chlorine taste and odor, dirt, rust, and scale build-up in drinking water and ice. The PureH2O PH21200 Replacement for Whirlpool WF-L400V fits side by side refrigerators with filter access through the front grille. 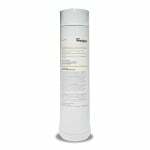 The PureH2O PH21200 Replacement for Whirlpool WF-LC400V Replacement Water Filter is designed for use with side-by-side refrigerators. 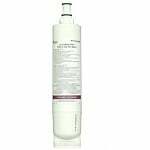 Aquafresh WF710 Replacement Filter for Whirlpool T1WG2 filter reduces bad taste, odor, lime scale buildup, cysts, chlorine, dirt and rust in your water and ice.